Yet the term by no means carries the idea of physical descent from, and essential unity with, God the Father. The Hebrew idiom conveys nothing further than a simple expression of godlikeness (see Godliness). 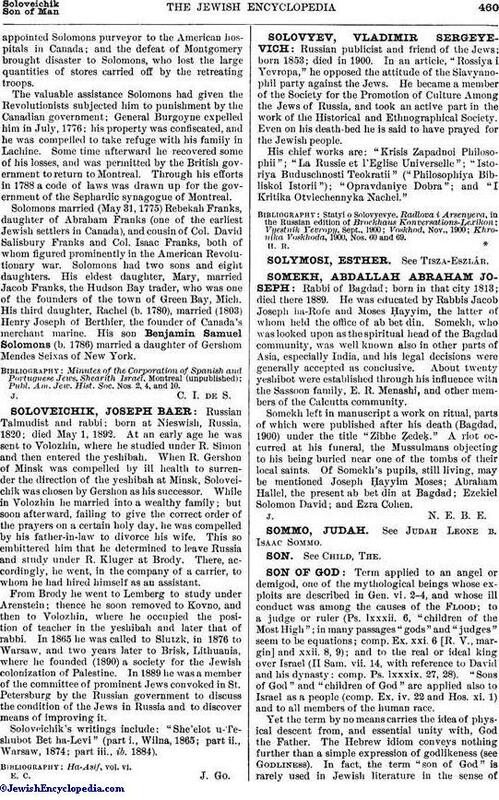 In fact, the term "son of God" is rarely used in Jewish literature in the sense of"Messiah." Though in Sukkah 52a the words of Ps. ii. 7, 8 are put into the mouth of Messiah, son of David, he himself is not called "son of God." The more familiar epithet is "King Messiah," based partly on this psalm (Gen. R. xliv.). In the Targum the of Ps. lxxx. 16 is rendered (= "King Messiah"), while Ps. ii. 7 is paraphrased in a manner that removes the anthropomorphism of the Hebrew: "Thou art beloved unto me, like a son unto a father, pure as on the day when I created thee." The phrase "the only begotten son" (John iii. 16) is merely another rendering for "the beloved son." 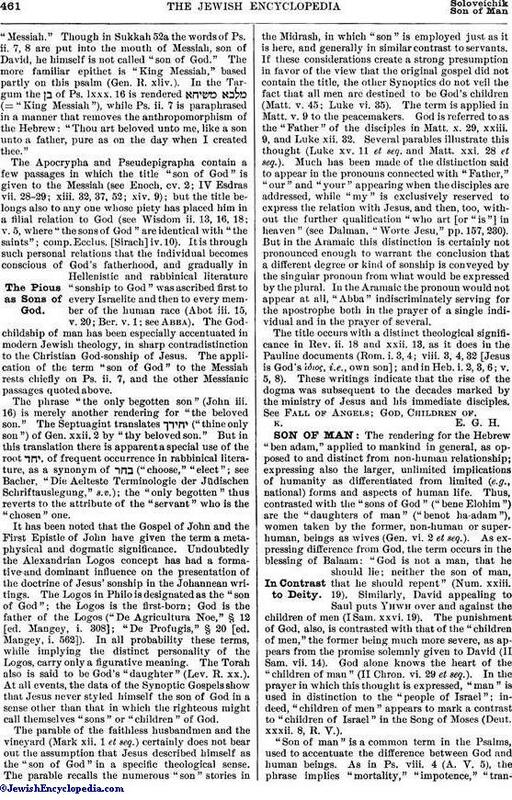 The Septuagint translates ("thine only son") of Gen. xxii. 2 by "thy beloved son." But in this translation there is apparent a special use of the root , of frequent occurrence in rabbinical literature, as a synonym of ("choose," "elect"; see Bacher, "Die Aelteste Terminologie der Jüdischen Schriftauslegung," s.v. ); the "only begotten" thus reverts to the attribute of the "servant" who is the "chosen" one.